This is Max Webster's last headlining theatre gig. 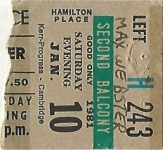 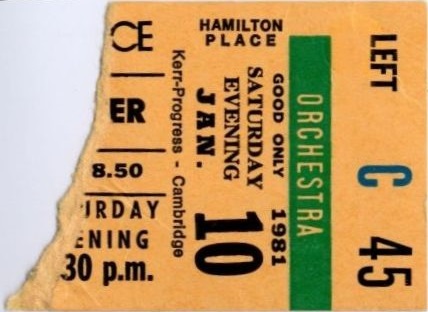 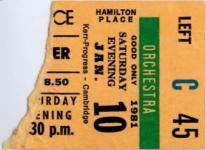 Numerous people who attended the show are certain that it was not Terry Watkinson on keys on the second night, but Dave Stone instead. 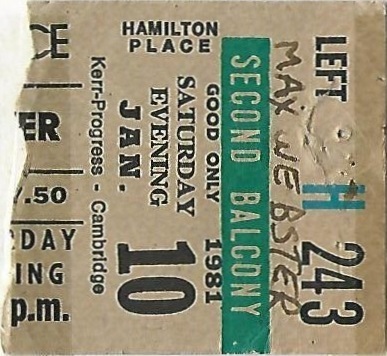 Stone was in opening act B.B. 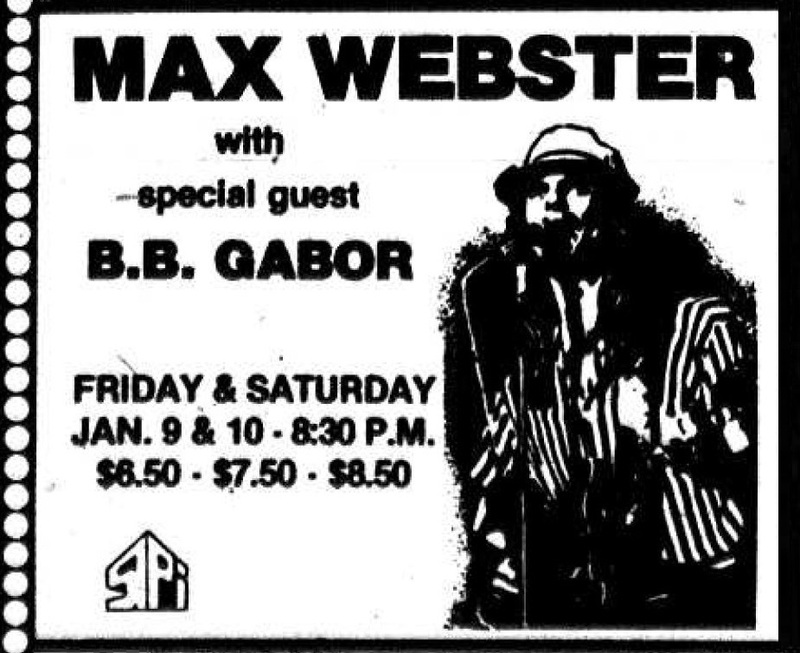 Gabor's band at the time, so it is indeed possible that he played Max's set too, after having played a handful of dates (and on the Universal Juveniles album) the previous year.